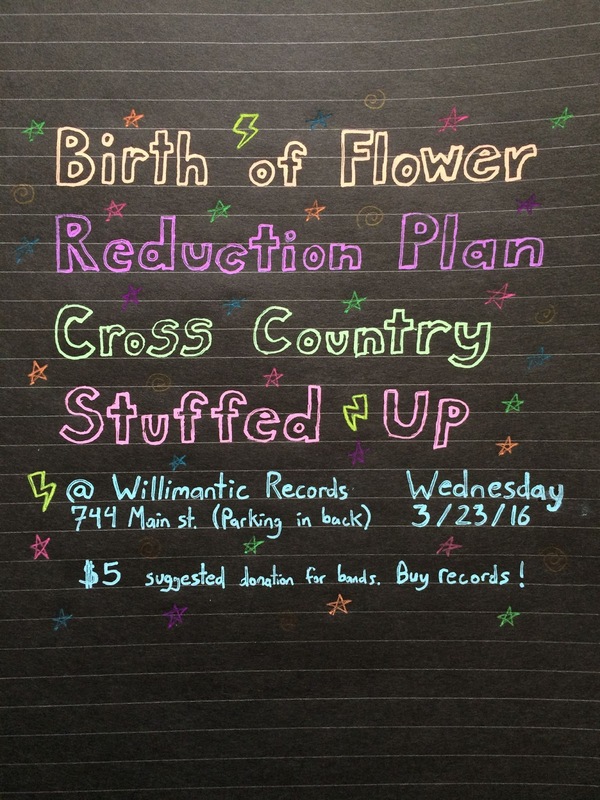 Birth of Flower - "weirdo-rock gods of Connecticut"
Reduction Plan - "groovy goth-y jams"
Cross Country - "noodly punk tunes. on tour from Ohio!!" 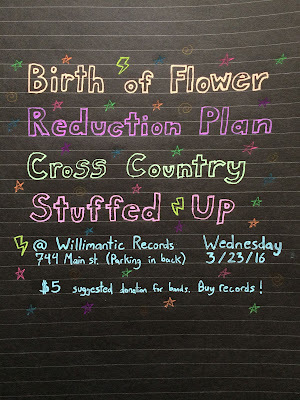 Stuffed Up - "rough around the edges pop punk feat. members of spit-take"
Thanks to Reduction Plan Dan for putting this together and Ethan for the gig flyer.